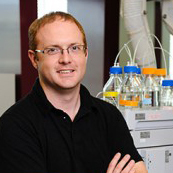 Patrick Frantom is an assistant professor of chemistry. He earned his BS degree in biochemistry at Louisiana State University (1999) and his PhD in biochemistry at the Texas A&M University (2005). Following a postdoctoral research fellowship at Albert Einstein College of Medicine, he began his independent research career at The University of Alabama in 2009. He teaches upper-level biochemistry courses and large-lecture format General Chemistry. His research interests focus on identifying structure/function relationships used to create catalytic and regulatory diversity in a conserved protein fold. In 2013, he received an Early Career Development Award from the National Science Foundation to support his research project as well as the development of a new upper-level biochemistry laboratory course based on original, hypothesis-driven experiments. High-level cognitive skills, such as evaluating raw data or creating novel content, are increasingly valuable in today’s economy and a hallmark of higher education. In contrast to lower-level skills, which include identifying or memorizing, high-level skills are difficult to learn from passive teaching styles. To become proficient in higher-level skills, students must first have an opportunity to practice them in a safe environment and receive feedback on their performance. Incorporation of active learning techniques into current curriculum provides a simple mechanism to accomplish these two steps and has the potential to improve student learning and retention. When active learning approaches are aligned with well-thought-out learning outcomes, students are presented with a clear picture of what is expected to succeed in a specific course. Jessica Fordham Kidd is a clinical/lecture-track faculty member of the English department, where she serves as associate director of the first-year writing program. Jessica has a BS in geology and an MFA in creative writing with a specialization in poetry, both from The University of Alabama. She teaches the pedagogy and practicum course for first-year writing GTAs along with freshman composition, creative writing, and the occasional literature course. She also teaches a special section of Fine Arts for Engineering students that focuses on experimental arts as a way of increasing students’ fluency in and comfort with their own creativity. 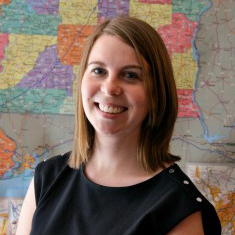 Jessica has written articles for Alabama Heritage Magazine and the online Encyclopedia of Alabama. Her poetry has appeared in The Paris Review, Drafthorse, and Eye to the Telescope, among others. I believe in the validity of my students’ experiences, and I strive to let those experiences find a voice in my classroom. My job is to facilitate the expression of students’ previous and emerging knowledge and to give them new experiences to increase their knowledge and comfort in the academic discourse community. Active learning principles are vital to what I do – letting students work in the classroom and facilitating collaboration both between students and between teacher and students. In a writing classroom, I provide opportunities for students to try new ways of organizing, expressing, and revising their ideas. In the fine arts course, students create their own projects as a means of grappling with course concepts. Jeffrey Melton is an associate professor of American Studies, where he serves as assessment coordinator and undergraduate director. He earned his BA in English at Clemson University (1985) and his MA and PhD in American literature at the University of South Carolina (1988, 1993). 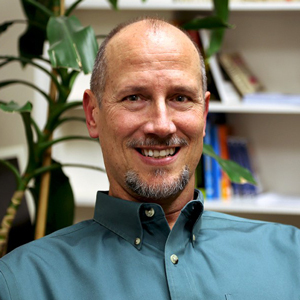 He teaches a variety of courses on American humor as well as American road and tourist cultures. His research interests follow the same routes. He is the author of Mark Twain, Travel Books, and Tourism (U of Alabama P, 2002, 2009 paperback rpt.) and co-editor of Mark Twain on the Move: A Travel Reader (U of Alabama P, 2009). He has also published articles on humor and tourism in a variety of academic journals and scholarly books. Learning can only occur when the mind is active and open, so my teaching philosophy depends on creating an atmosphere that challenges students to be fully engaged. No matter the course, my job is to organize and present material in a welcoming but challenging environment. I must fight against not only a tendency in students to remain passive but also the temptation for teachers to stay in the comfort zone of their ideas. The learning process works best when I am not simply remembering as I stand in front of the classroom but when I am thinking. Learning must always happen in the present, and the quality of that learning experience will always be enhanced when students and teachers alike are fully engaged in that moment. This means, of course, that my courses are student-centered, simply meaning that I must work to focus more on how students are engaged in the moment rather than how well-crafted my narrative is at the same moment. As a result, my course content and evaluation measures derive from how students interact with the material with my guidance and support. To maintain this level of active engagement, students in my classes must be ready to enter the discussion, which will inevitably allow me to cover key ideas by reacting and responding rather than dictating.